Issa new column, y’all! Welcome to the first edition of #MCM — a new post section comin’ atcha the first Monday of every month about your fave celeb crushes. Sometimes, it’ll be an extended look into our print issue’s Bae Watch and other times, it’ll be someone we haven’t featured yet. Let’s get to it. First up: da’Vinchi. 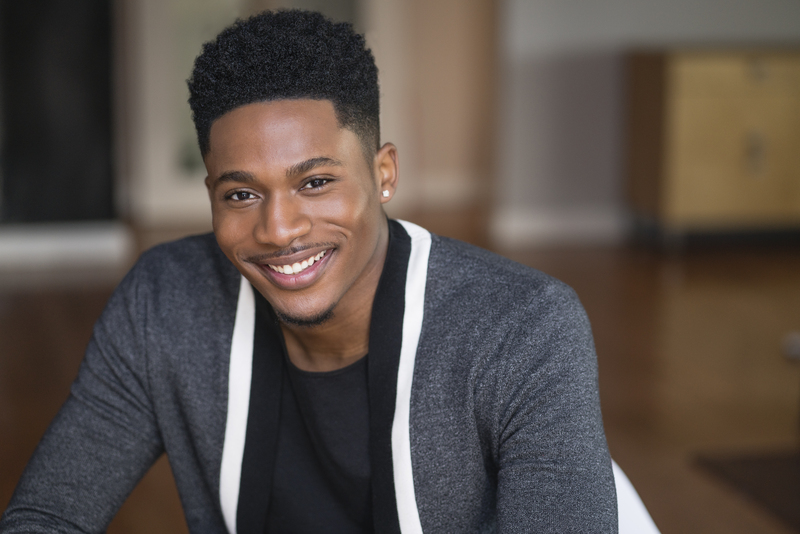 You know him as Cash Mooney from grown-ish, but 22-year-old Abraham D. Juste, AKA da’Vinchi (nicknamed after the famous artist, of course), is so much more. In fact, besides his lyrical game and before landing the role of Cash, da’Vinchi almost joined the Air Force — and had an ultimate career goal of making detective. He’d get his degree in criminal justice from the College of Central Florida, spend a few years as an airman, and then, work his way up the law enforcement ladder. From the moment he stepped off the plane, da’Vinchi began to study his lines for the audition, and after his initial tryout, he got a callback. This time, he was in the room with the show’s producer, boss man, Kenya Barris (of black-ish fame, too). The next day, he received a call from his agent that would change his life: he’d booked the gig. Originally, he was only supposed to be on one or two episodes, but the crew decided to keep him on for a few more, even up to the first season finale. And even though we now know Zoe picked Luca over everyone else, da’Vinchi thinks there’s a good possibility Cash might return for the beginning of season two — but that’s still up in the air. Right now, acting is his main focus, and if you didn’t already know, you can catch dude on an episode of Marvel’s Jessica Jones season two on Netflix, too. He’s also working on some music, which should be out in a few months. Also on deck? “I’m going to be in a movie, and there’s a great chance I’m going to become a series regular soon. And you’re going to see me playing a superhero one day,” he says.